A goal in front of a person, before the World Cup, to be fit and perform in the team opening match. There is no error in preparing for Neymar da Silva Santos (Junior). He desperately wants to go to the main stage of the World Cup. So he work hard on it. But the star footballer does not forget to enjoy the whimsical mood of his girlfriend! Rehab is going to return Neymar in rhythm after surgery, the Brazil and PSG star has been enjoying his friendship with the star footballer. On the other hand, prior to the quarter-finals in the Champions League, Cristiano Ronaldo has been discovered before turning up against Juventus, in the mood of temperament, with the help of friendly food and drink with the help of lunch in the air. Neymar posted a picture on Instagram on Monday, it has been found that he is sitting in front of the lawn in yellow shorts. A special type of boot on the right leg of Neymar. In the terminology of medicine, which is called ‘protective boot’. The forward is using specialty shoes for rehabilitation. He will be fine quick to use this shoe, said that his physiotherapist. His girlfriend, Bruna Marquezine, also seen sitting in next to him. As we can see, she is enjoying with Rebekah in the gym for the World Cup, while enjoying it with a girlfriend for the time being in retirement. The PSG star posted on social networking website for several weeks to inform his fans about the news of his recovery after surgery. Last week he posted his weight training issue in Instagram. Besides, he also posted photos of his new hair cut. In February, Neymar broke his junior bone in the right leg, the match against Marseille. 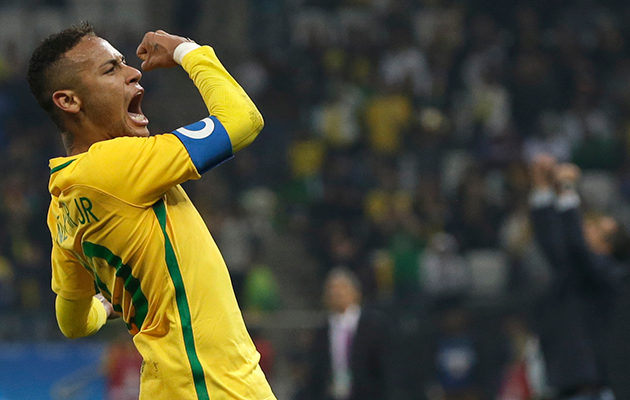 As a result, he has not played in five FIFA matches for PSG and two FIFA friendly matches for Brazil. But in the meantime, apart from Neymar, the French Cup won the PSG. The Paris team has lost Monaco in the final. Angel di Maria and Edinson Cavani scored the goal. And in the national side his team won both game against Russia and Germany. But the Brazil coach think despite of the biggest winning no other could take the place of Neymar. He is one and only and no one alternative him. So, for the WC Russia they need him must. The Brazil forward also tried hard to recover and fit before the competition.